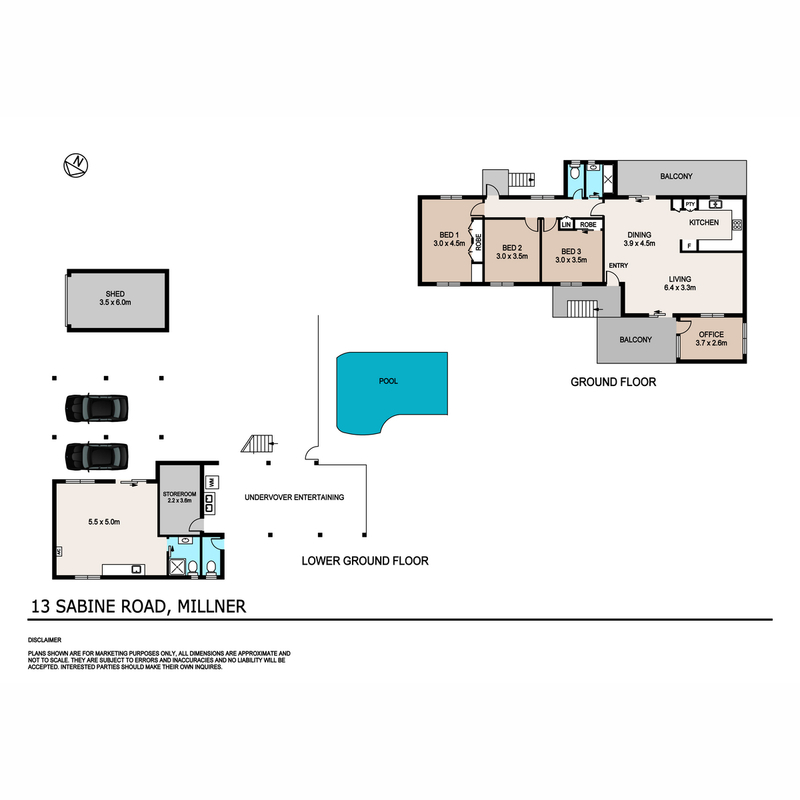 Text “13SAB” to 0488 810 057 for all property information. 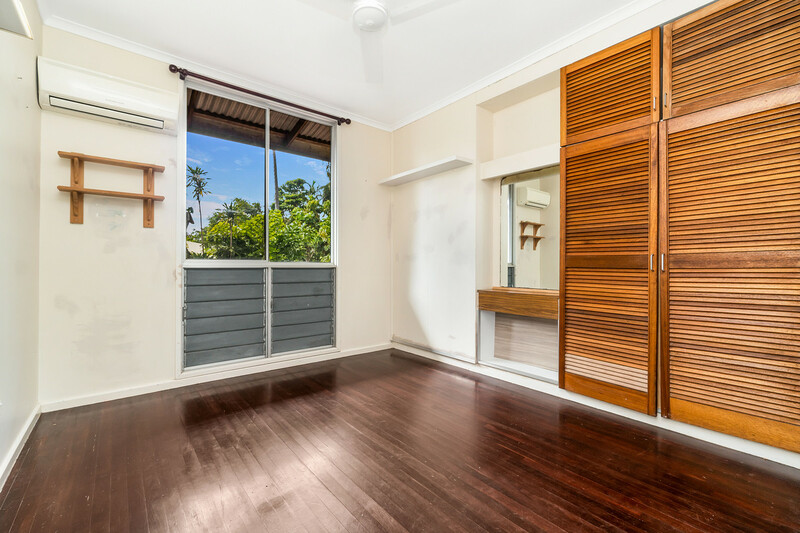 Put your modern touch on this promising elevated home that offers dual living with independent upstairs and downstairs living. 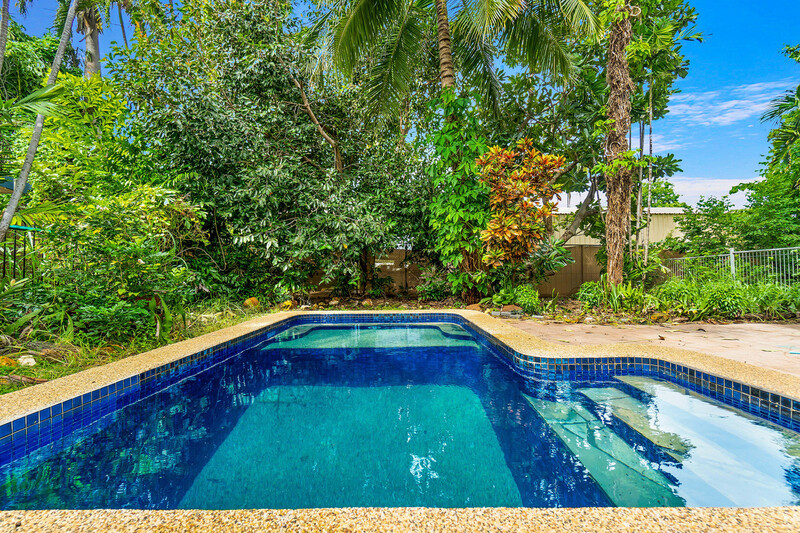 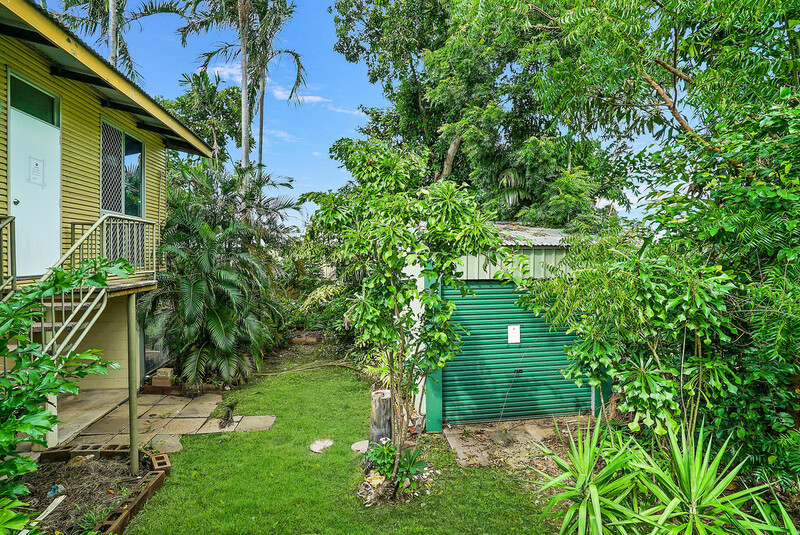 It is set on a spacious, fully fenced block with an in-ground pool and established gardens, and a dedicated office plus external studio are ideal for the home business, work-from-home professional or creative artist. 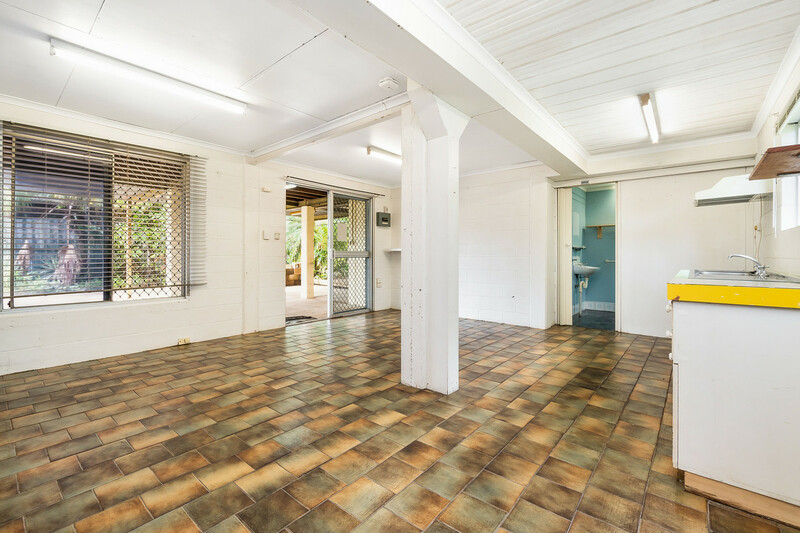 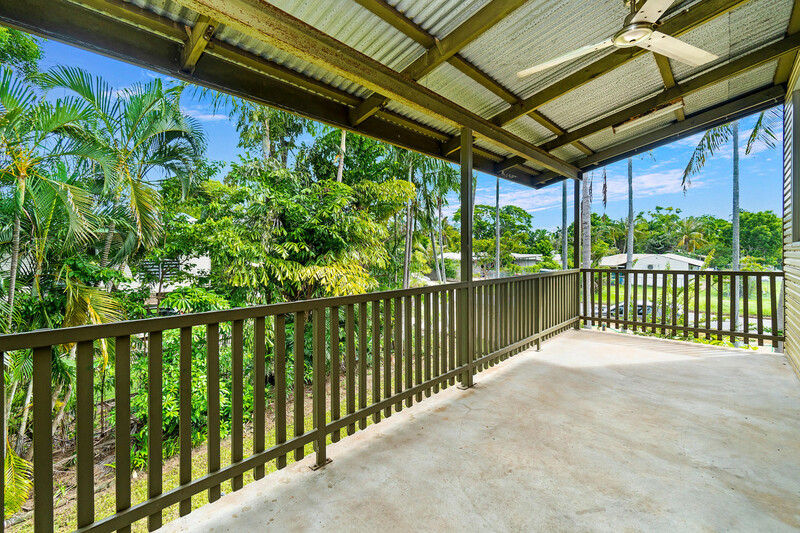 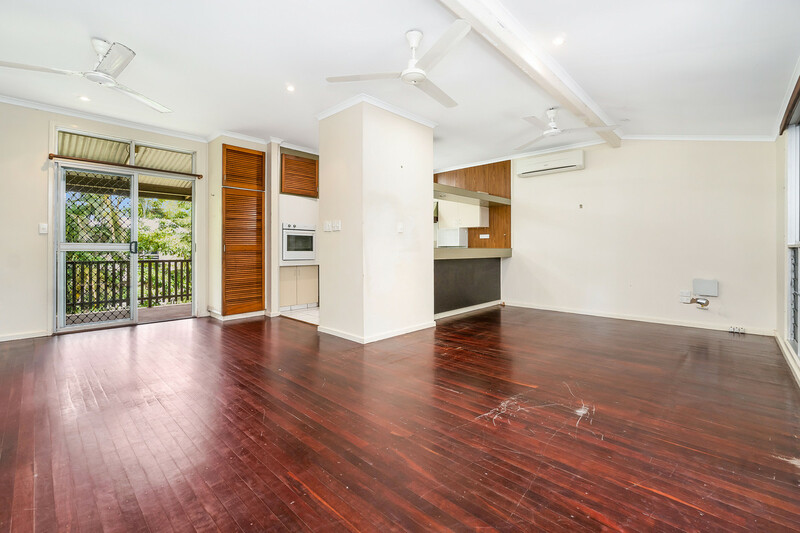 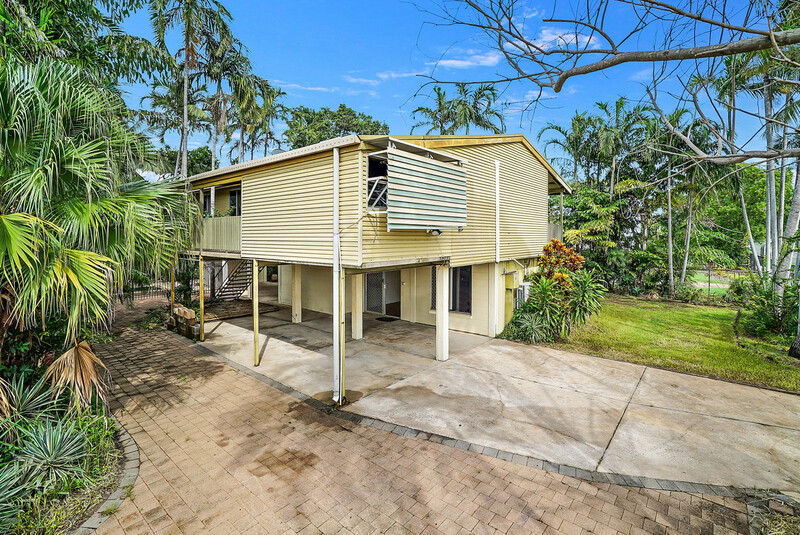 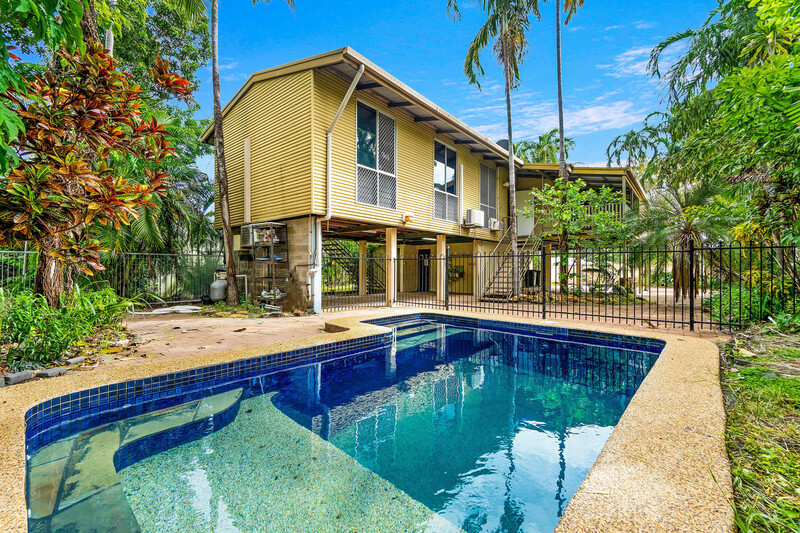 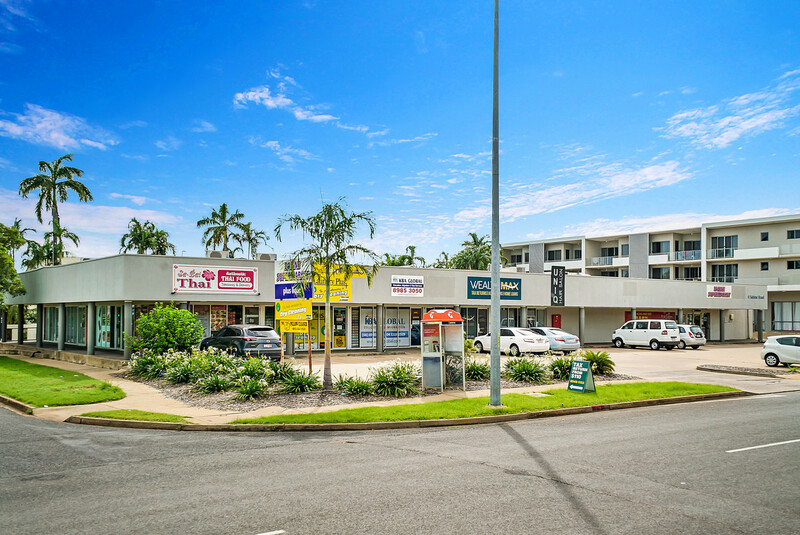 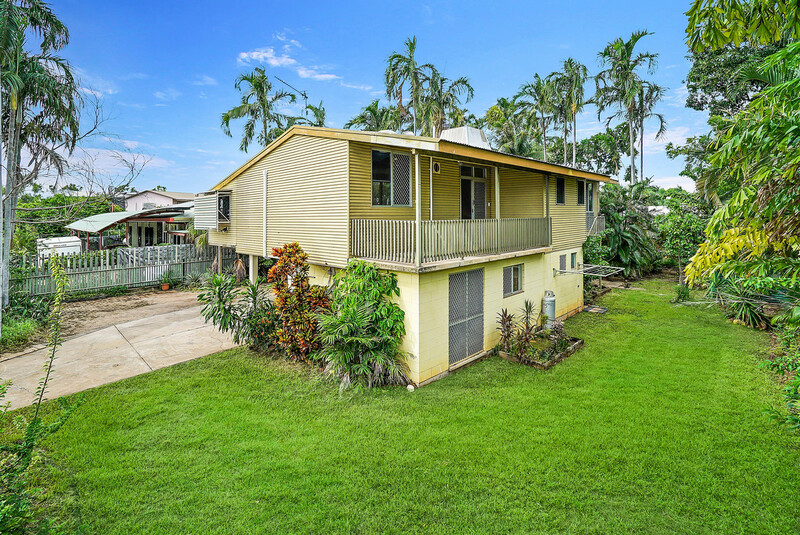 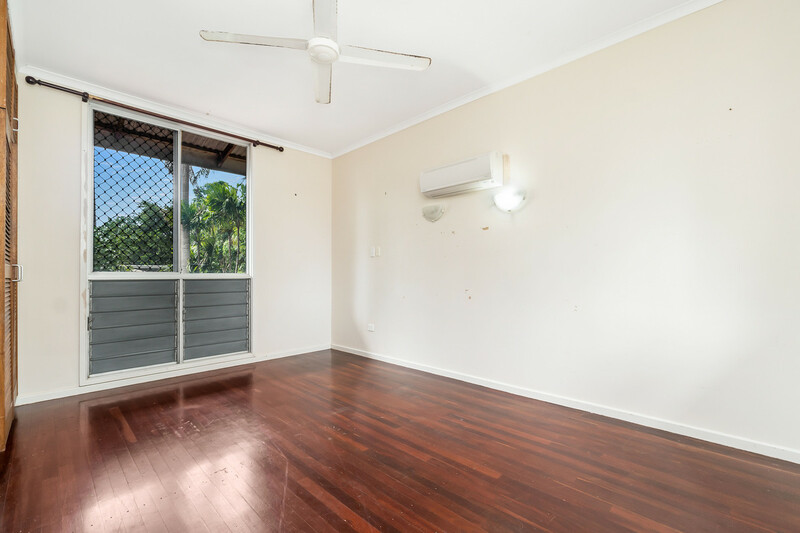 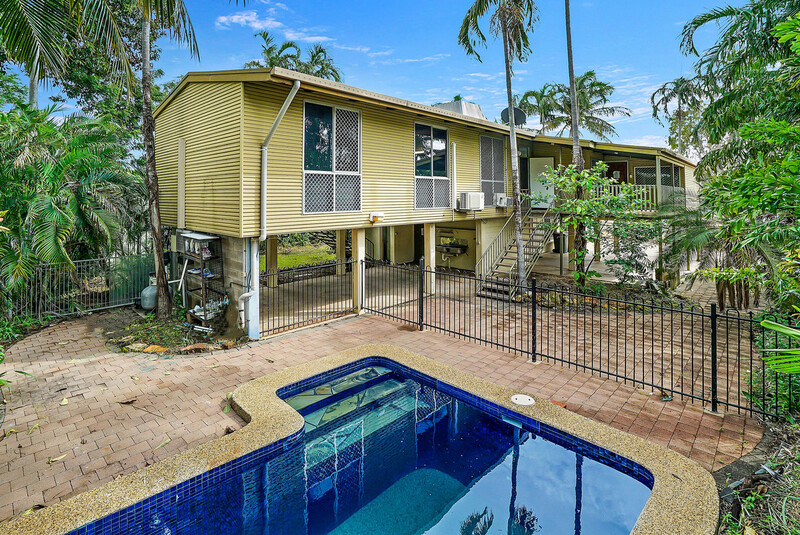 The home is a short stroll to Rapid Creek shops, Millner Primary School and bus stops, and less than five minutes to the stunning Nightcliff foreshore. 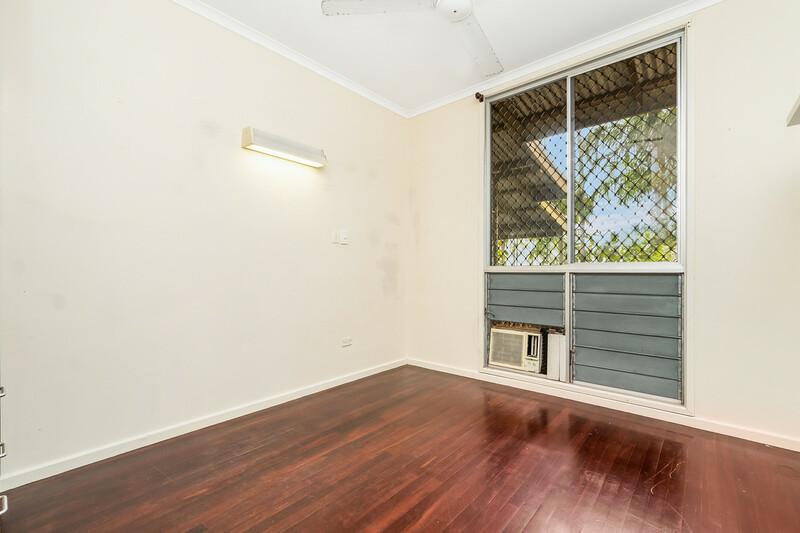 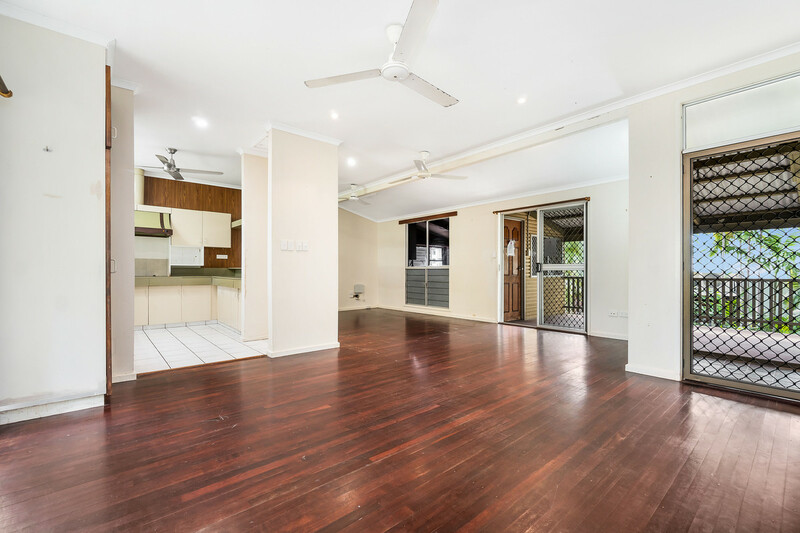 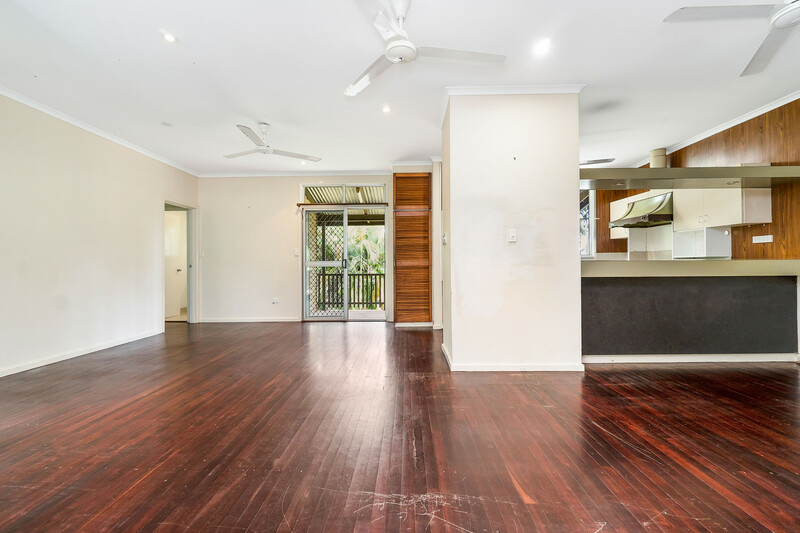 Put your renovation skills to work and add significant value to this solid elevated home that is ideal for your extended family or as a lucrative dual living investment property. 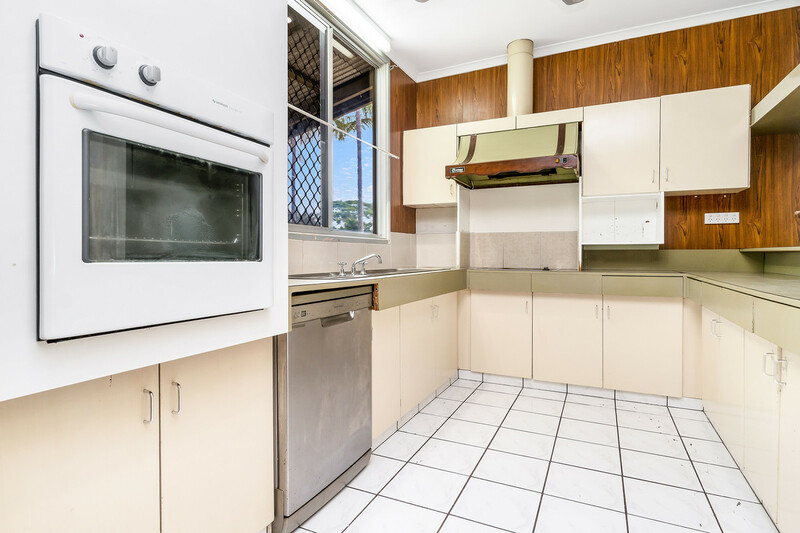 Enter via an external staircase that opens into the upstairs living/dining area and adjoining kitchen with wall oven and dishwasher. 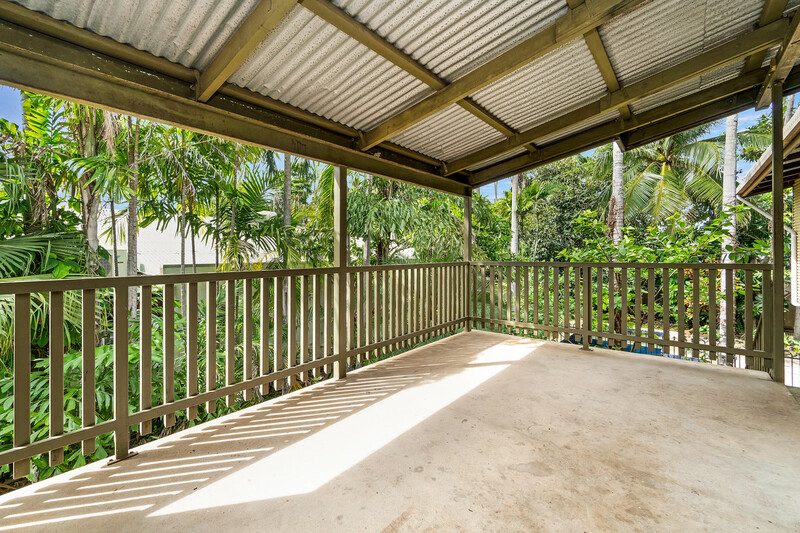 The living/dining area opens to front and rear balconies to capture cooling tropical cross breezes, and a private home office features its own independent entry off the front balcony. 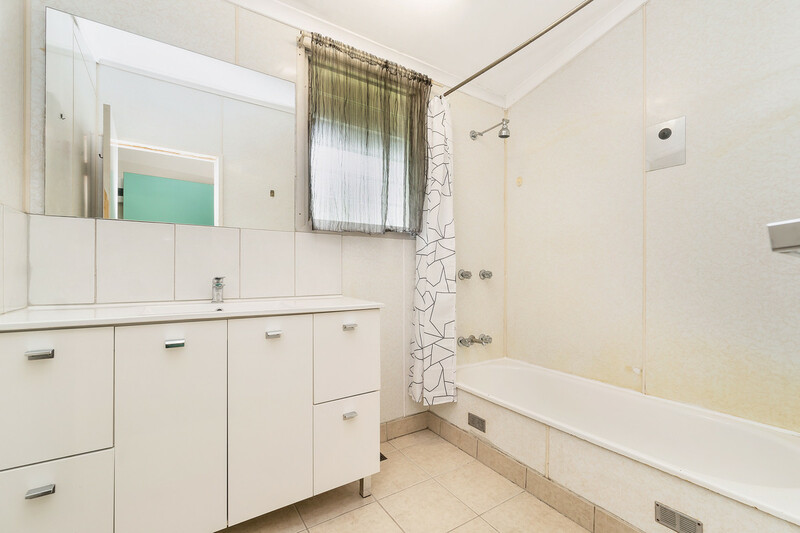 A hallway off the main living/dining area connects to the three upstairs bedrooms – two with built-in robes – and the main bathroom. 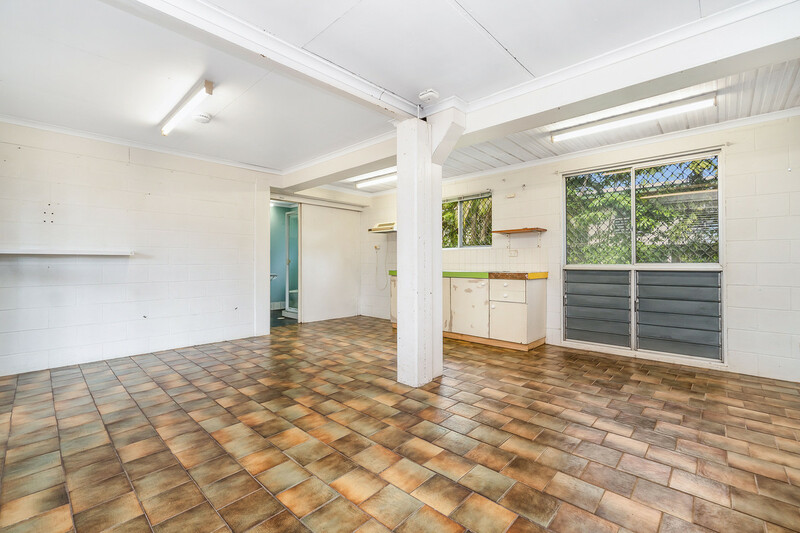 Downstairs, a spacious tiled studio with kitchenette and ensuite is ideal for use as fourth bedroom, or rent it out to generate extra income. 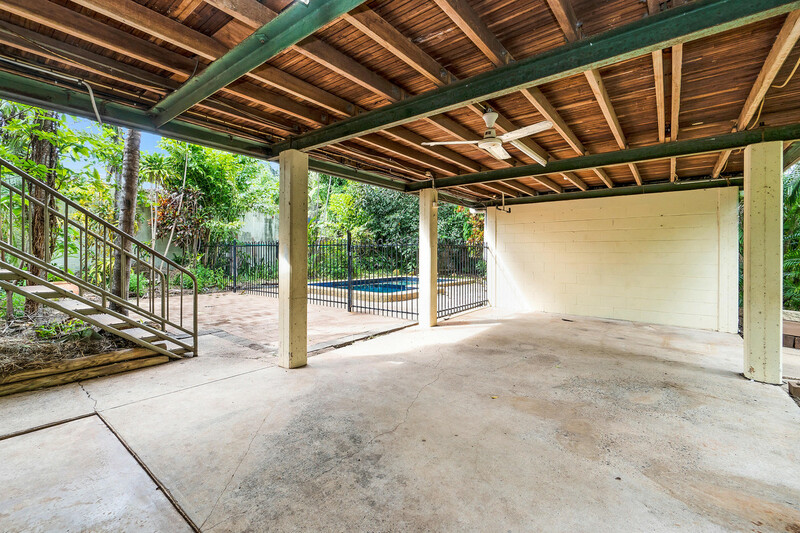 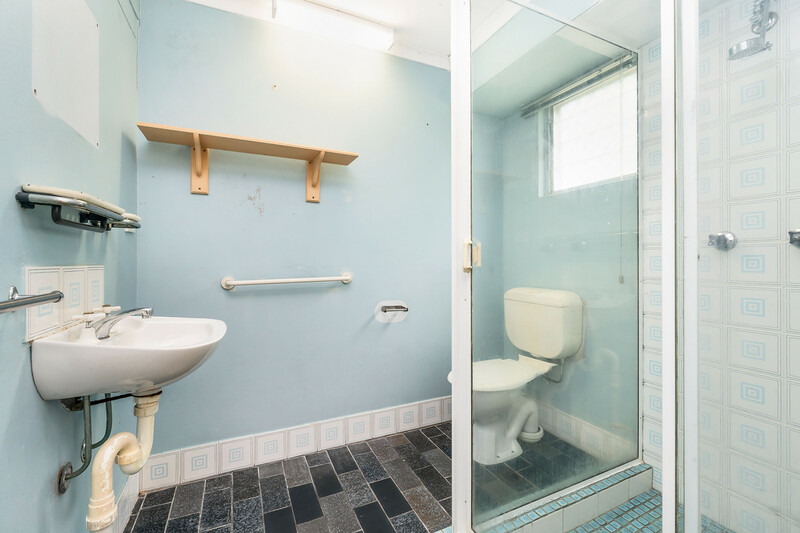 The large under-house entertaining area overlooks the fenced in-ground pool and features laundry facilities, a storeroom and direct access to a separate third toilet. 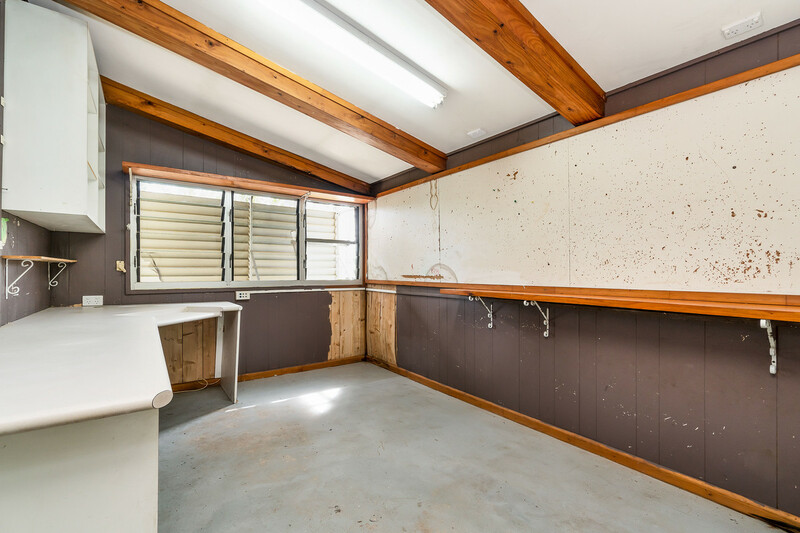 Under-house parking joins plenty of extra off-street parking space with room for your boat, caravan or trailer.